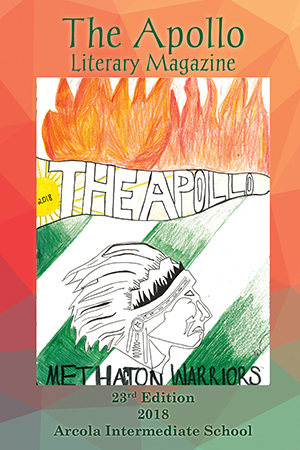 We proudly present the 23rd edition of The Apollo, Arcola Intermediate School's literary book which features the creative writing of over 50 seventh and eighth graders. It is the result of much effort by the literary staff, the Apache Publishing Company, which is composed of talented editors, typists, writers, and illustrators who were selected for the Company. Arcola Intermediate School is located in Eagleville, Pennsylvania and is part of the Methacton School District. The school is composed of over 800 seventh and eighth graders and is filled with talented writers, artists, musicians, athletes, readers, mathematicians, scientists, and students of all subject areas.